Okay, first off. 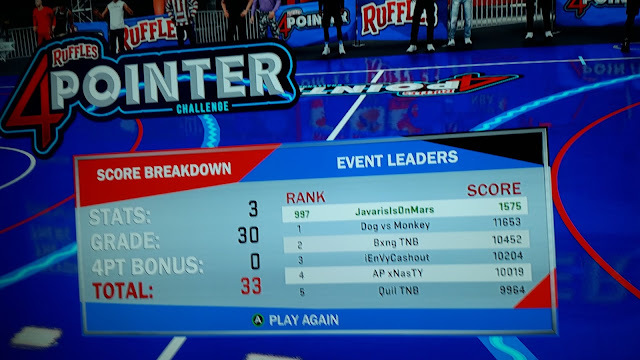 When is Xbox/NBA 2K going to fix this problem? The sharing to Xbox live problem. You can't share anything from this game. At all. That's why I haven't posted anything. 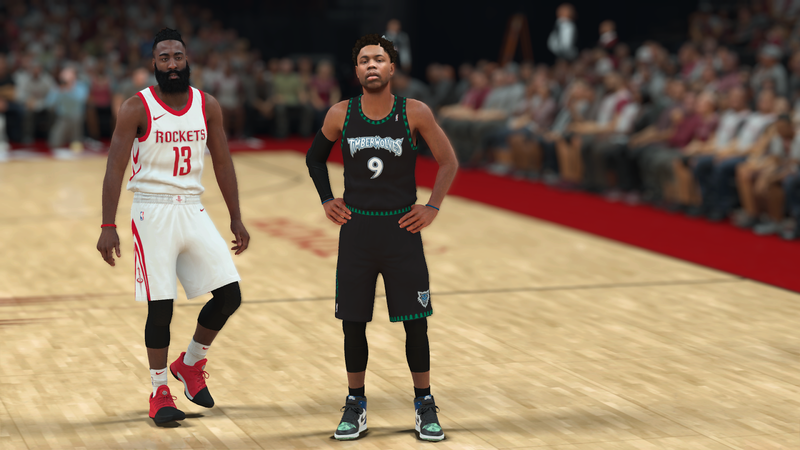 I was going to try to keep y'all in the know about my MyPlayer but all the clips are not anywhere to be found. Anyways. I found the way around this. Uploading the clips and screenshots to One Drive. Anyways this is not about that. This is about Sunday. The Ruffles 4-pointer challenge. I loved it. Seem like hella people had bad things to say but I loved it. The rules were pretty simple. The game is to 21. With two kickers. They have a four-point line. This four-point line turns deadly after one of the teams score 12 points. You make a shot from the four-point line and you win the game no matter the score. You can be down and out and the other team can have match point. You hit that 4 points and the game over. (Insert evil laugh). I was hype when I was giving it to other people. Man, I wasn't so hyped on the receiving end. Okay, I kinda found that funny too. I was just so shocked at how many 4's I hit. I started the day not even trying. While many of my teammates threw up million of houses made of 4's bricks. I think I hit about 8 on the day. I didn't care too much. I was enjoying that 4x VC. I came out with about 30K VC and I started with only three hours left. I finish rank 997. The last game was bad. They were hitting from deep all game. GG. Also, how did people get to play with friends? I spent the whole time getting matched with randoms. I can't wait for the next one. I think it's Monday on the 9th. Make sure you go out and get you some Ruffles chips. The ones with the speical marked bags. They have the code for the 4x VC. You don't wanna miss out.